Q: Over the summer my Labrador has been very sloppy on the stop whistle, is there any way I can get him a bit sharper? Graham says: I am assuming that at some point your dog was sharp on the stop whistle and I suspect that during the summer you have relaxed your regime and he has got away with ignoring your commands. Make no mistake: dogs get bored of hearing the stop whistle without any “reward” in the shape of a directional signal, or a flush. One technique you can usefully use is to blow the whistle and throw out a dummy (assuming the dog is totally steady) and only send him for the retrieve when he looks back to you. Don’t overdo this – the aim is to condition the dog into believing that every time he hears the whistle something good will happen. 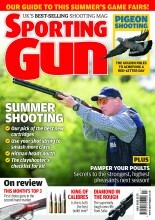 How hard should I blow my gun dog whistle?